Coates Bluff Community Clean-up Day is Sat, March 12, 9 am til noon, says Jon Soul. 1) Come to the event! 3) Come to the ABS meeting, Monday, March 7 at 6pm at CoHabitat to discuss future plans for the Coates Bluff trail/greenway. Please RSVP, (jonksoul@gmail.com) or call 572.4080, for the organizational meetings. From historian and music maven Chris Brown comes this poster from the files of the Shreveport Sun. 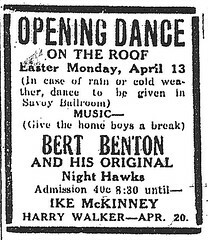 Brown writes, "Advertisement for Bert Benton and His Original Night Hawks performing at the Calanthean Temple Roof (April 13, 1936). 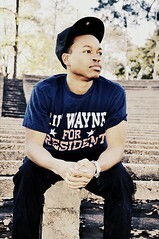 Promoter: Ike McKinney. City: Shreveport, Louisiana. 'Opening dance' likely refers to the first dance of the season. According to Shreveport Sun articles, dances were hosted at the Calanthean Roof as early as 1930. This is the earliest published advertisement for a dance at the Calanthean Temple that I've located. Source: The Shreveport Sun (April 11, 1936)." Art. Music. Cinema. ARTHAZARD is a prospective look at multi-medium collaboration in the greater Shreveport area. Come see how traditional art,drawing, painting, sculpture, graphic design,and music, can and should mesh with the local film scene. Local filmmaker Chris Lyon will screen his short film "Stay With Me" which was conceived, funded, shot, edited, scored, and completed in Shreveport. Afterwards a panel discussion including Shreveport filmmakers Derek Wayne Johnson and Gregory Kallenberg will take place with audience participation on how local art was used to make the film. There will also be discussion on traditional and new wave art and how it is essential to all films and how to apply that knowledge to local cinema. Doors to the art floor open at 6pm with exhibitions by regional artists. Live music by Aevory starts at 6:30pm. 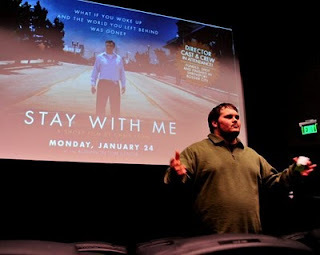 The short film "Stay With Me" plays at 7pm at Minicine Downtown at 846 Texas Street. Wednesday, March 2, 11:00 a.m.
"Evan Piatigorsky is the grandson of the world-famous cellist, Gregor Piatigorsky, and a wonderful performer in his own right," says La Wanda Blakeney. "He started the Foundation to provide classical music to places where it might not be heard often. At LSUS we’ve had a number of Foundation concerts over the last few years, and we’ve never been disappointed. The musicians are of the highest caliber, and they are extremely personable, even anxious to talk with young people (and anybody else!) about their music. 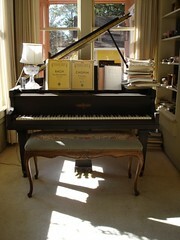 Please come and enjoy the beautiful music!" 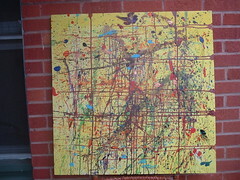 See more at Artspace Shreveport. Stunningly coherent, beautiful music - his work resembles that of Phillip Glass - by a young master of composition, Costas Dafnis, is one of three reasons to enjoy the Sat, Feb 26, dance concert by Escaped Images. That the 13 dancers are very well-rehearsed is another reason to enjoy the ballet. The student choreography is far from amateurish. Credit for executive production and guidance must be given to artist and dance director Renee Chevealiier. Happily, the dancers are appealing young women. 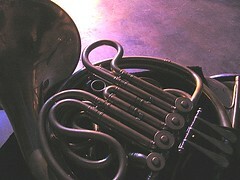 They are comely and demonstrate admirable discipline - see rehearsal video - in the many pieces. At dress rehearsal the show - plus intermission - was about 90 minutes duration. Finally, an artistic risk is being negotiated by having Dafnis' music performed by a small orchestra. The performers are professionals but the melding of dancers and musicians for the 2 performances (it opened on Fri) does represent a challenge. The concert begins at 7 pm in Marjorie Lyons Playhouse. Seating is by reserved seats; tickets are $15. Excavating Self is a contemplative, not a pell-mell or pop performance. Important to the mood is the urbane, elegant lighting design by Don Hooper. Expect an evening of artistic inspiration and a time for reflection. 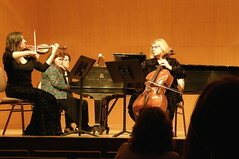 SSO's 2011 Music Memory competition was a remarkable and memorable event last evening. Even the threat of thunderstorms and a downpour which abated just before showtime couldn't deter the student contestants from their focus and determination to "name that tune" and the composer in what has become an annual competition. 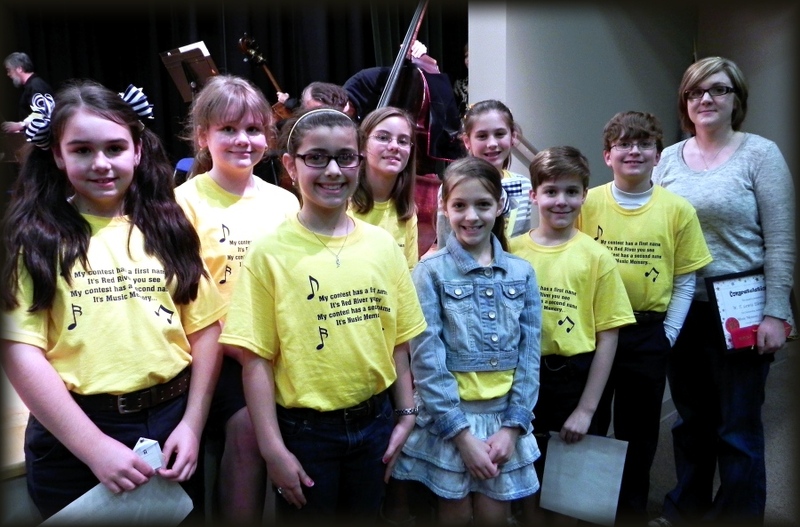 I had the privilege of playing on stage in the Shreveport Symphony Orchestra last night in the South Highlands Performing Arts Center while these area elementary students listened to only a few notes or a few seconds of music as announced with a number by SSO Music Director Michael Butterman and then played by the orchestra. Quite a challenge. There were 14 excerpts in all, from Mozart's opera Don Giovanni to Samuel Barber's Adagio for Strings. Students wrote their answers on an official sheet to be turned in after all excerpts had been played. Final results can be seen in photos of the school winners above. During tabulation of the answers the SSO played a free 40 minute concert which included movements from Beethoven Symphony No.5, Schubert Symphony No. 5 and several arias from the operas Don Giovanni and The Marriage of Figaro sung by Shreveport Opera's SOX vocalists, soprano Amelia Davis and baritone Andre Chiang. 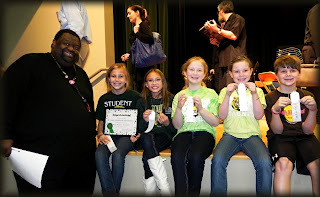 Individual winners and additional photos can be seen on my orchestra blog. All are welcome at the Blanc et Noir Marching Society Umbrella & Costume Decorating Party @ artspace on Sunday, Feb. 27, says Tarama Davenport. Everyone, please bring your own decorating materials and you may also bring a simple food dish, dessert or snacks, soft drinks,water & music to share! Also, bring paper plates & cups. Napkins, utensils & ice will be provided. has been postponed due to illness! Sun, Feb 27 - 3:00 p.m.
Works by Loeillet, Bloch and Arensky. enter the cheesecake give away!" What happens when our dreams escape our conciseness and mingle with other parts of ourselves? What happens when they collide with our everyday realities, demands and expectations? How do we react/respond to this? How would this be filtered through art?" Mariscos La Jaibita (roughly translated "The Little Crawfish Seafood") is a Mexican seafood restaurant located at 2292 Barksdale Boulevard in Bossier City, just south of I-20. While the restaurant also serves more common Mexican fare like tacos and fajitas, the focus is clearly seafood. When my wife ordered the Vera Cruz Seafood Cocktail pictured above, she asked "What kinds of seafood are in the Vera Cruz?" The waitress thought for a moment before simply replying "todos," or "all of them." This delicious (and enormous) concoction included fish, shrimp, octopus, oysters, avocado, cilantro, a delicious salsa base...and even a cherry on top. At $13.25, the Vera Cruz Seafood Cocktail is one of the pricier menu items at Mariscos La Jaibita, but it easily measures a quart in volume and could be shared by two adventurous seafood lovers. 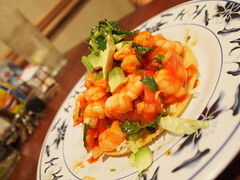 Also recommended are the ceviche tostada appetizers, available in fish, shrimp, or octopus. The favorite among my group was the fish - a delicious blend of fresh, white fish meat, lime juice, salsa, cilantro, and avocado piled high on a crunchy tostada. The shrimp ceviche was also very good. Affordable at $6.50, the tostada appetizers are large enough to order as entrees. I tried the shrimp fajitas and found them to be a good value at $12 - large, tail-and-shell-on grilled shrimp served atop a mound of caramelized peppers and onions and served with tortillas, rice, beans, and guacamole. After eating, take a moment and explore the carniceria (a Mexican-style butcher shop) located next door, which also sells imported candies, snacks, sodas, etc. that you won't find too many places around town. It pays off to try new things in Shreveport-Bossier's rapidly-diversifying restaurant scene. Maybe next time, I'll have the octopus? View a slideshow of images from Mariscos La Jaibita. 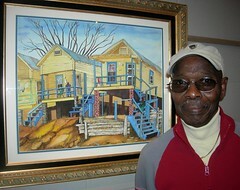 The 2011 Coates Bluff Cleanup & Celebration will take place Sat, March 27, 9AM – 12PM, says Jon Soul. A) The Montessori School for Shreveport – 2605 C.E.Galloway Blvd. ∙ Spring cleaning along C.E.Galloway Blvd. B) Valencia Recreation Center – 1800 Viking Dr.
Bring work gloves, long pants, insect repellent, sunscreen. 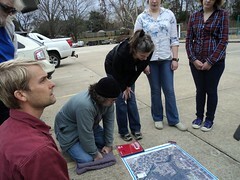 Come help honor Shreveport’s past & create its future! Brought to you by the Stoner Hill Action Group, Stoner Hill Eastside Brotherhood & Sisterhood Association, The Montessori School for Shreveport, ABetterShreveport.Org, SPAR & Centenary College. UPDATE: The hip-hop showcase planned for Saturday, February 19 at Media Star Entertainment Hall has been indefinitely postponed by the venue for "legal and remodeling reasons." We're leaving this post up for the purpose of providing exposure for the local artists profiled. Mikey Tyner, a 20 year-old BPCC student and native of Shreveport, will open for his friend and fellow emcee J-Mitch the Allstar at a hip-hop showcase this Saturday, February 19, 8 p.m. at Media Star Entertainment Hall (1262 Dalzell Street) in Shreveport. The show is all-ages and admission is $8 at the door. Also on the bill is the wonderfully weird New Iberia, LA-based R&B dude SicFlo Beatz. Tyner began rapping as a senior in high school, when he was also doing a lot of skateboarding and drawing. He says his music "deals with every day problems that people can relate to, and I'm telling it through my own poetic perspective." When asked about the state of hip-hop in Shreveport, he gets excited - he's obviously really into this. "There are a lot of good hip-hop artists coming up in Shreveport that people don't know about yet." He cites J-Mitch and Fly Guy Boo as two examples. Tyner plans on doing a few new songs on Saturday night, as well as freestyling (improvising rhymes on the spot) and - interestingly - talking to the audience. "I'm gonna explain my songs, why I said what I said." A few footnotes on the other artists performing Saturday: As is evidenced by the video for "Lookin' Fresh," SicFlo Beatz takes some cues from Portland R&B crooner YACHT. By that, I mean he looks like Ferris Bueller and sounds like T-Pain (I intend that as a compliment, it's a good look). Watch the video, it's fun. J-Mitch the Allstar's latest song, "Hippie Girl" (which almost certainly is not about a girl), is the most fun I have had listening to a new local musician since the first time I heard Dirtfoot. It's weird and hazy, clever and full of metaphor and wordplay. Listen to it on his MySpace. Each July, the internationally renowned Aspen Institute holds its Ideas Festival to unite leaders and visionaries from across the globe in dialogue on critical issues facing our society. The Shreveport Times is joining The Community Foundation in bringing to the Shreveport-Bossier community three dialogue sessions from the Festival that touch on issues facing our area. These three sessions offer our community and leaders an opportunity to participate in a global discussion. Feb. 24, 5-7:30pm – "The Great Reset,” Richard Florida This session explores the new economy of the United States as presented in Richard Florida's book, The Great Reset. ·Panelists include: Lampton Enochs, Moonbot Studios; Rand Falbaum, Gordon, Inc.; Dr. John George, G-6 Management, Inc. These sessions are free and open to the public. Street parking downtown is also free after 5:00 PM on weekdays. 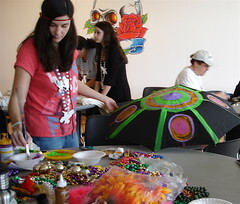 The Mini-Festival will be held at the Robinson Film Center. Sessions on February 17 and March 3 will be held in the multi-purpose room on the second floor. The session on February 24 will be held in the main theatre. Water and sewage issues plague the city of Shreveport today. City work crews digging up streets to patch the leaking mains and drains are a common site. In the following 2 video interviews given to A Better Shreveport, the succinct Swaine, currently head of the Shreveport Downtown Development Authority, recaps the work of the Citizen Bond Study Committee and offers a colorful look at the city's infrastructure woes. Liz Swaine on the Shreveport Bond issue, coming up for a vote in April. Liz Swaine and Scott Crain's "Underground and Under Attack," a vivid story of the city's aged and holey water and sewage system. Cost: Registration fee (which includes textbook): $175 general public, $150 members. To enroll: (318) 459-4122. Seating limited. Advanced reservations highly recommended. Veteran movie producer Michael Flannigan (Mad Money, The Black Dahlia) takes students on a four-week, department-by-department tour of how movies really get made. This film industry training course is designed for people seeking jobs in -- or a career transition to -- the movie and TV industry. "I felt very fortunate to get the expertise of someone like Michael Flannigan, whose had so much experience in the industry. I loved how down-to-earth and informal his teaching style was. That made him very relatable to me." "My goal was to find the right info to help my job search. I have wanted to get in this business for a long time and did not know enough about it to find the right way in. Yes. Now I know exactly what I need to do. I got the empowerment tools I need." "I would definitely recommend this course to friends and colleagues because how often in the Shreveport-Bossier City area do we have an opportunity to learn about film production from an actual, veteran big budget film producer? His knowledge was invaluable to us." The Shreveport Symphony's ensembles are returning to the schools this Spring, bringing concerts to area Elementary school children, writes Susan Rogers. "This is great news after a 3-year hiatus due to prolonged contract negotiations. 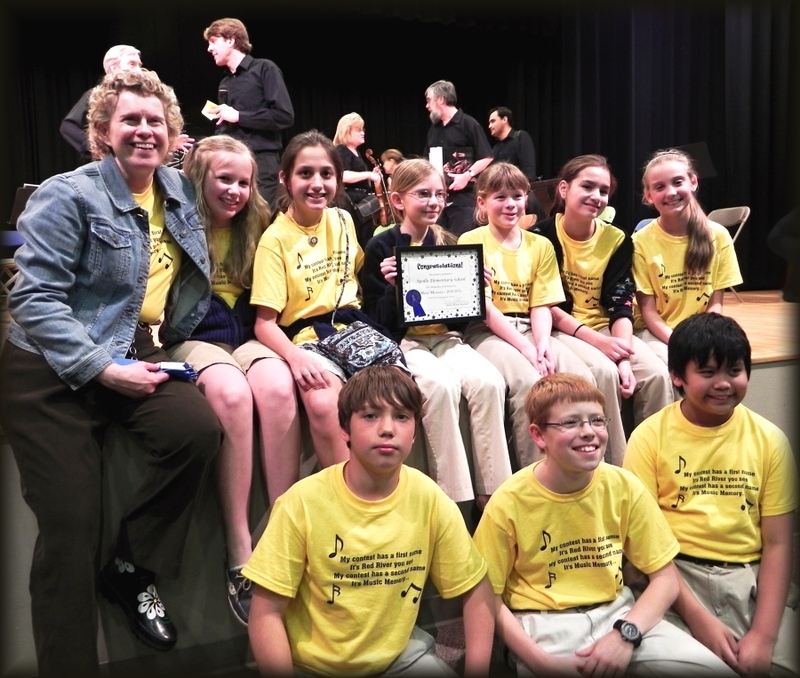 Music and the arts are an important part of school curriculum. "Remember this is an all-volunteer effort—so do expect some weirdness (like we don’t take credit cards) and a flexible attitude" says Jim Huckabay at the new web site for the Fairfiled Studios House Concert Series, shreveporthouseconcerts.com. "Feel free to bring the beverage of your choice (along with cups, etc.) and cash to donate towards the wonderful catered food served at intermission. More volunteers and sponsors - to help keep this thing rolling - are welcome! You’ll find us at 1510 Fairfield (near the corner of Fairfield at Jordan) next door to Harrison Paint and across from the State Office Building. Shows begin about 7:00, but please arrive no later than 6:45 if you have reservations. With no reservations, come even earlier if you’re hoping for a seat. Cash admission (& donate to food) at the door." 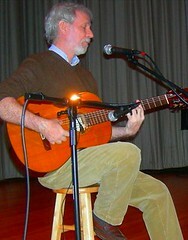 Jesse Winchester, 2/19/11: All reservations are paid-in-advance and are $25, and currently are sold out, with any available seats on the night of the concert: $30 at the door. See the irrepressible Winchester in Shreveport in 07. "No hassles," promises Huck and the concert team, " just a sane and easy place to enjoy original live music. A non-smoking environment." I know, February 20 seems like the very distant future, doesn't it? The truth is this, Shreveport-Bossier goers and doers: We have time management issues. We end up at the Roller Derby match wishing we were across town at the minicine? screening (or vice versa). We show up for Rocky Horror at the Robinson Film Center only to learn that tickets sold out two days ago. 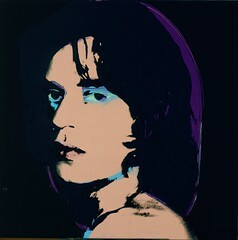 So, I thought I'd make this post on the Meadows Museum of Art's upcoming "Copley to Warhol: 200 Years of American Art Celebrating the Centennial of the New Orleans Museum" exhibit a whopping nine days in advance of the public opening, which will be Sunday, February 20, 1 p.m.-4 p.m. This traveling exhibit features 30 American paintings from the NOMA, many of which have never traveled outside of New Orleans. The list of works to be displayed makes one wonder if this is one of the best exhibits in Shreveport-Bossier history: George Inness, John Singer Sargent, Mary Cassatt, Georgia O'Keeffe, Lee Krasner (! ), Jacob Lawrence, Andy Warhol, and many more. Admission to the Meadows Museum is always free, and their hours of operation and more info are posted at the Shreveport Bossier Fun Guide. I hope to see you there in nine days (also known as the distant future). Congress will vote in the next few days to eliminate all federal support for local public broadcasting; what's your position? Congress will vote in the next few days to eliminate all federal support for local public broadcasting, says Beth Hardy at La Public Broadcasting. "Federal funds provide a significant portion of LPB’s budget. It makes it possible for Louisiana children to see educational programs; for adults to stay informed with trusted news programs; and for everyone to enjoy the finest in music, theater, and art. Some say that there is no longer a need for federal support for public broadcasting. Others believe it’s one of the best ways to invest federal dollars. Most importantly, though, is what you think. We hope that you will contact your Member of Congress – their numbers are listed here – and tell them what you think of public broadcasting and the proposed cuts. Congress will vote on these cuts in the next few days, so please act now." Eds note: I called the 3 legislators listed below to leave messages of my support for public broadcasting. Took me about 4 mins. I hope you will do the same. THE COLOR PURPLE, a soul-stirring musical based on the classic Pulitzer Prize-winning novel by Alice Walker and the moving film by Steven Spielberg. 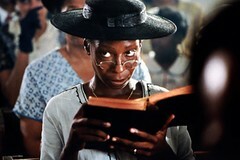 THE COLOR PURPLE is a landmark theatrical event, a celebration of love, and a Broadway phenomenon. With a joyous GRAMMY nominated score featuring jazz, gospel and blues, it captures the hearts of young and old, and unites audiences in a community of joy. The LSU Shreveport Black Box Theatre will present a production of the play Southern Girls by Sheri Bailey and Dura Temple Curry. 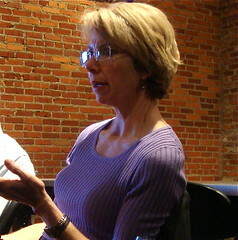 Playwright Sheri Bailey will be in residence for the production. Robert Alford is directing; the cast includes Crystal Brown-Tatum, Jackie Brown, Deanna Marie Candler, Chelsea Beth Hockaday, Jenna Glorioso, Ariane Perideaux, Laurie Powers, Karisca Wheeler and Tianna Williams. Southern Girls is a memory play that chronicles the often-complicated relationships of six little girls to one another, their racial identities, and their rapidly changing world, from 1956 through the dawn of the 21st century. 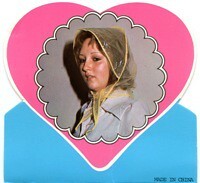 Wanda-Sue, half-black and half-white, teeters between the world of her white half-sister, Charlotte, her white friends, Dolly and June-Adele, and her black friends, sisters Ruth and Naomi. This bittersweet play reflects the changes in the lives of these women in the mirror of the changing South. 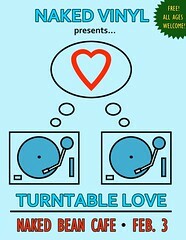 February 10, 11, 12, 17, 18, 19, 2011 at 8 p.m.
February 13 and 20, 2011 at 2 p.m.
Black Box Theatre, Bronson Hall Room 111. Admission is free for all LSU Shreveport students. Tickets $5 to $18. Sensitive subject matter and language. For more information, call 797-5283 or 798-4177 or email theatre@lsus.edu. Teatro (Italian for "theater") will sing at Riverview Theater on Sat, Feb 12, 7:30 pm, says Patric McWilliams. It is a benefit for River City Repertory Theater. The Broadway quartet stopped at Caddo Magnet High this week (and also visited other schools) and presented very capable and soulful vocals and harmonies. They answered students' questions about their theater careers in NYC and London and their global travels as Teatro. Theatergoers who saw The Rose Tattoo at Riverview Theater in March, 2010, the Tennessee Williams play produced by River City Rep, may remember Jeremiah James. He played the tall, handsome Alvaro. Jeremiah will be the tallest of the singers in Teatro on Saturday night. Yet in voice he is certainly matched by his three peers. Postponed due to weather; rescheduled for April 7. The Mary Jane Malone Lecture Series presents "Is God a Mathematician?" 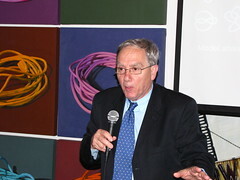 with author Dr. Mario Livio. Dale McCormick has spent over two decades fighting for jobs, economic justice, health care for all, human rights, and equality for women, says Centenary College. McCormick arrives to speak at Centenary and on A Better Shreveport's live radio show on Mon, Feb 7, at 5 pm. On Tuesday evening from 6 to 7:30 at Cohabitat on 610 Commerce St., Centenary College and the Green Mixers are sponsoring an open forum on green construction technologies. Says Loren Demerath, "We're having local businesses talk about what they offer over wine and cheese, but the highlight is international expert, Dale McCormick, who's visiting Centenary for the week, talk about how the technologies might be used and marketed." A carpenter and contractor for 30 years, Ms. McCormick was the first woman in the country to complete a carpentry apprenticeship with the carpenters' union, and she is a member of the United Brotherhood of Carpenters Union. In 1988, she founded Women Unlimited, a program that successfully trains women on welfare to compete for high-paying jobs in trade and technical occupations. She served in the State of Maine Senate, chairing the Banking & Insurance Committee and writing health care reform legislation. 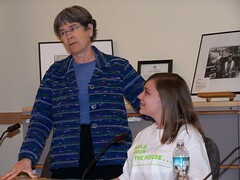 She co-founded and became the first president of the Maine Lesbian/Gay Political Alliance (now Equality Maine). She was the first woman to be elected State Treasurer in 1996 and today is the Director of the Maine State Housing Authority. Her two books, Against the Grain: A Carpentry Manual for Women, and Housemending: Home Repair For The Rest of Us, join her many published articles on energy efficiency, health care, and civil rights. 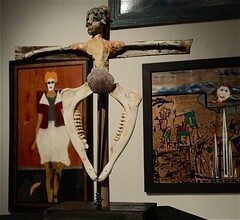 "The opening reception for Charles Elliot Lovelace's art exhibition - "Trash or Treasure?" at Karpeles Manuscript Museum, 3201 Centenary Blvd, Shreveport, tel# 318 861 7615, has been rescheduled to Sat 12th Feb, between 1 and 3pm," writes Jean Glabus. 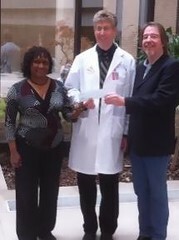 Buddy Flett and Fay Bouldin recently presented Dr. Steven Alexander with a check for $10,000 from the Northern Louisiana Brain and Spinal Cord Injury Foundation to support neurologic research taking place in his laboratory at LSU Health Sciences Center – Shreveport, says Dr. Paul McCarthy. affected by severe neurologic illnesses. 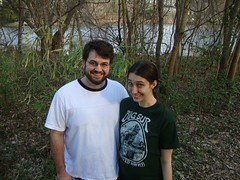 Louisiana Swamp Stomp, which feature both Flett and Fran and several other Louisiana Musicians. 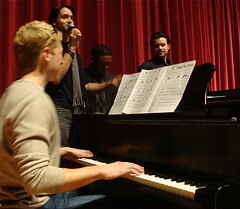 The recording which was released in November 2010 has received praise from critics and has been a in the top 5 on several roots music charts. Producer of the album is Dr. Paul McCarthy, one of the LSU-HSC Shreveport physicians who cared for Flett during his illness. Just in time for Valentine’s Day, on February 10th, the Marjorie Lyons Playhouse at Centenary College opens their newest romantic comedy, Prelude To A Kiss. This fast paced production, says Luke Eddy, follows a whirlwind romance through a young couple’s meeting, wedding and a bizarre twist of fate that tests the newly minted vows of their marriage… and their sanity. played by Josh Rabalais. Peter shares the details of how he comes to fall in love with a free spirited bartender named Rita, played by Emily Slazer, and how an Old Man, played by Centenary professor Dr. David Bieler, turns the couple’s world inside-out. Along the way we meet Peter’s kooky, suburban in-laws, portrayed by Donnovan Roe and Lauren Morrison; his flamboyant best friend Taylor, played by Barry James Acosta; Marion Paton and Meghan Horan as Rita’s delightfully off-beat wedding guests Uncle Fred and Aunt Dorothy; Sandy Rather as the Minister; Natasha Sebeyran plays the Old Man’s daughter, Leah, and Erika Lunsford is Rita’s co-worker, Tammy. 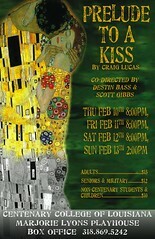 Co-directed by Centenary College seniors Destin Bass and Scott Gibbs, Prelude To A Kiss is being staged in a black-box configuration to create an intimate environment for the play. adults, $12 for seniors and military, $10 for children under 12. Michael Corbin, newly elected city councilman from District D, recently chatted with Michael Hughes of Hughes Recycling on the civic affairs program Time for A Better Shreveport. Hosted by Loren Demerath, Carolyn Manning and Robert Trudeau, the program airs Mondays at 5 pm on KSCL, 91.3 fm. "Yesterday the Council had the opportunity to tour Pratt's recycling facility and paper mill. We basically watched trucks dump their daily pickup of items from the blue bins and saw the materials pass through the recycling process to the end product of the following: bales of aluminum cans, bales of steel cans, bales of different types of recyclable plastics and bales of cardboard and paper. The cardboard and paper is fed into the paper mill while the other items are sold as raw material. At this point in time glass is not being recycled due to market conditions and the contamination rate (cleanliness of the product). Pratt is building a prototype machine designed to better clean glass and results of testing should be in soon. Until glass can be cleaned better and/or the market for glass improves it is being dumped in the landfill. Here are some take-aways for me that I will share with you. * A pizza box you place in your blue bin this morning may very well be picked up, sorted, fed into the mill and become a new pizza box within 36 hours or less. * Although there is an amount of non-recyclable items that are placed in the blue bins, the amount is not prohibitive to the process and much less than other areas of the country. * Total participation in Shreveport's recycling program has increased while actual tonnage (amount of recyclable material) has decreased since inception. * Gray water output from the Lucas Wastewater Facility that was previously pumped into the Red River is now used in the manufacturing process at the Pratt Mill. * The paper mill runs 24/7, 365 days a year while the recycling facility runs a shift and a half daily. This means there is ample opportunity to create new recycling opportunities throughout the region. Other cities, businesses, schools, etc." 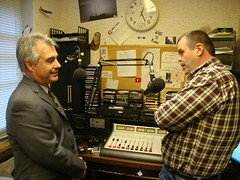 Listen to a 2-part recording of the broadcast. On April 30th the Bossier Arts Council will once again host ARTini, a casual fund raising event, at Boomtown Casino in Bossier City, says Theresa Ratcliff. In today's economy artists are being asked to donate regularly, so we have prepared a benefits package to show our appreciation for your donation. 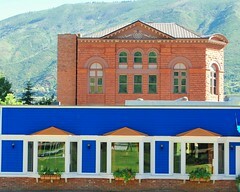 - Two tickets to Artini (valued at $90.00). - 50% of the final bid price of your donated art/sculpture ~ the remaining 50% will go to the Bossier Arts Council. This event is three months away, so please contact one of the following people with your donation information as quickly as possible. It’s a square town until a motorcycle-ridin’, guitar-playin’ and hip-swivelin’ hunk rides in and gets everyone jumpin’ in ALL SHOOK UP, says Sara Hebert at the Strand Theater. It’s Footloose, Grease and Happy Days all rolled into one zany story. 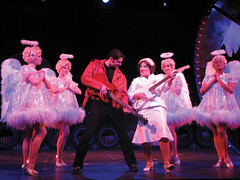 With more than 24 Elvis hits, ALL SHOOK UP kick starts a chain reaction of romances and rebellion through the power of rock ‘n’ roll music. It’s like an Elvis movie . . . but better! Mistaken identities and outlandish who-loves-who mix-ups ensue and the town suddenly bursts to life and creates a feel-good story of crazy love triangles with laugh-out-loud comedy. You can’t help falling in love with ALL SHOOK UP. Rock out with Jailhouse Rock, Heartbreak Hotel, One Night With You, That’s All Right, Don’t Be Cruel, Can’t Help Falling In Love With You, A Little Less Conversation, Burning Love and so many more. 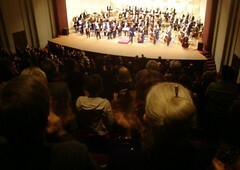 Friday, February 18, 2011, 8:00 p.m.
A pair of 5’s—two of the most dramatic symphonies in the repertoire. Beethoven's famous Fifth is a journey from darkness to light, from turmoil to victory. Shostakovich's Fifth has a similar arc, but was written under duress as the composer had to satisfy a tyrannical Stalin. The result is a tour-de-force of ironic protest and a testament to the indomitable human spirit. Join SSO cellist Paul Christopher for a free pre-concert talk in the hall at 6:30 p.m.
Free shuttle service runs from the Regions Bank parking garage at the corner of Milam & Market Streets. Music Director Michael Butterman discusses the SSO’s February concert in a fun, informal cocktail party setting. This event is FREE and open to the community.